Design enthusiast Greg Kelly launched a Kickstarter campaign to create the Midcentury Modern Mailbox when his search for the perfect curbside complement to his home proved unfruitful. 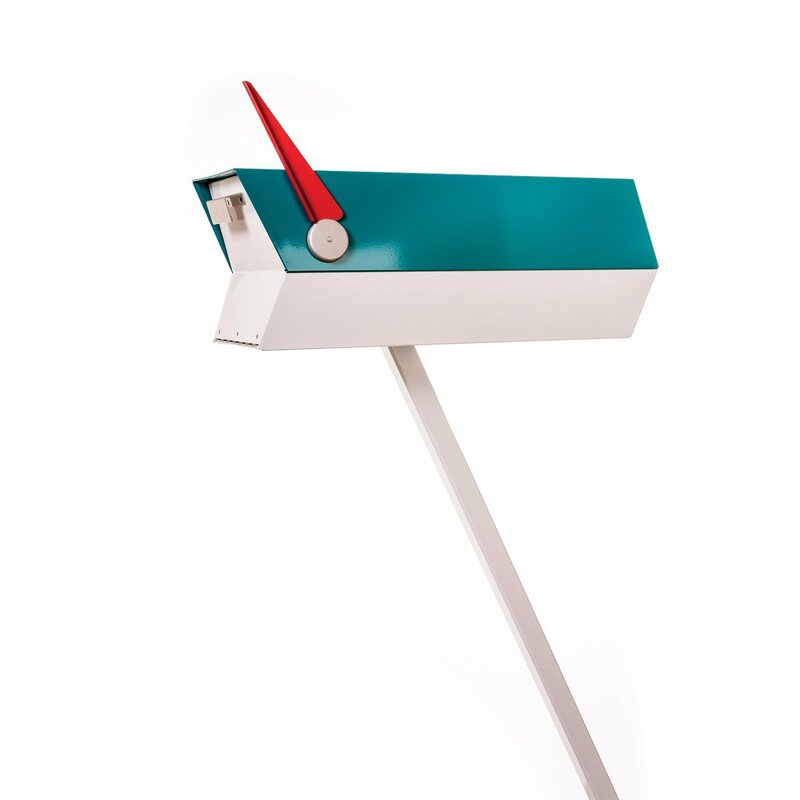 Produced by modbox USA, the mailbox is faithfully modeled after those of the 1950s and '60s. It comes in a variety of cheerful Eichler Exterior Accent Colors and features an easy-open door and an anodized aluminum flag cap. When the flag is lifted, it follows the angle of the leading edge and the post. Made of powder-coated steel baked at 400 degrees, the mailbox is durable enough to withstand all types of weather.